This is the view down the street where I live in sunny (or not) Neilston. Neilston is a village of about 6000 population located on a hill 12 miles south west of Glasgow, Scotland's largest city. The picture on the left is updated at regular intervals throughout the day. Unfortunately, the view here doesn't include any spectacles like herds of Wildebeest sweeping majestically across the plains of East Renfrewshire, however, there is always the excitement of bin day to look forward to. 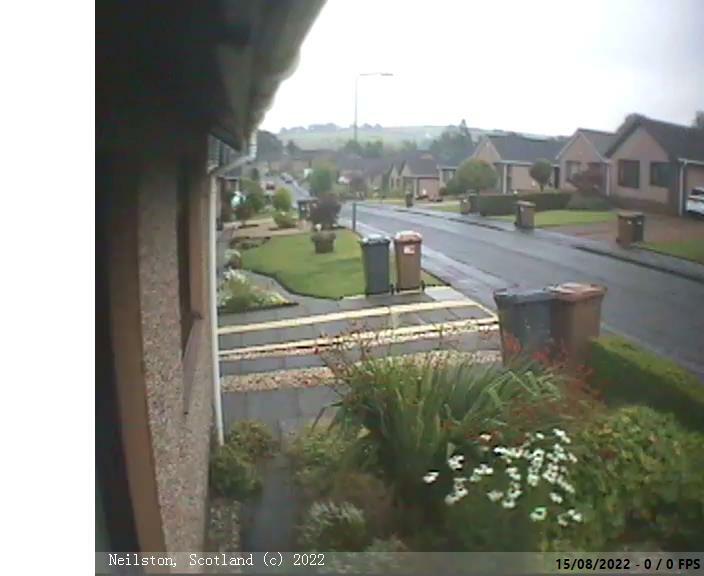 Where is Neilston, and who cares anyway? other visitors have also been bored by this page.